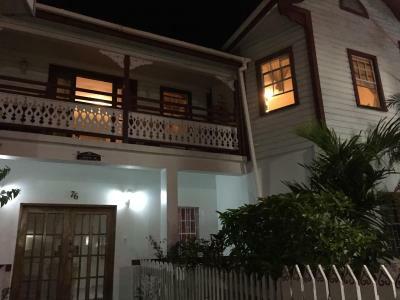 Great location right downtown in Belize City. Easy to walk around. 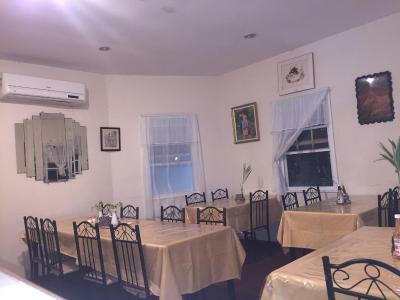 Friendly staff, good recommendations about restaurant. 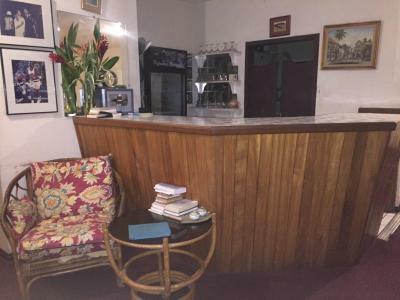 The hotel has seen its better days but nevertheless it is still a comfy and decent place to stay if for whatever reason you find yourself in Belize city. The AC worked well and WiFi was good. Hot water from the shower and decent beds. Metal gates on doors and windows keep you secure. Overall a good choice given the alternatives. I like that the location was very convenient. 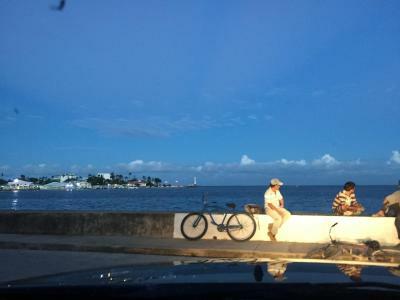 Just a walk down the street and over the bridge and you are near the water taxis. 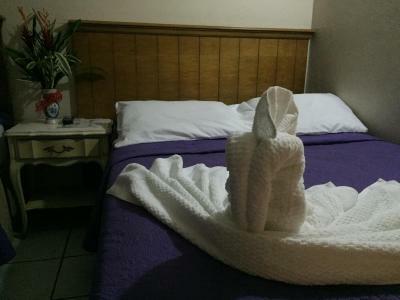 The women behind the desk are great and helpful and brought us fresh towels for our stay. 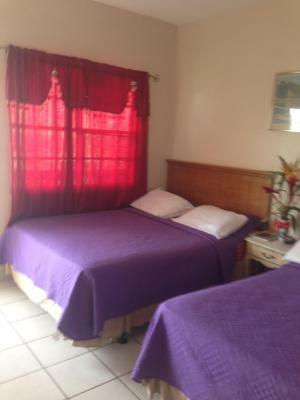 Having aircondition in our room was excellent as it is a luxury in Belize City. The pressure in the water shower is great even if I couldnt get the hot water to flow for the life of me. Management was incredibly friendly. This spot has good security practices, a decent on site food menu (for additional cost), and a location near shops and the water taxi station. Breakfast was very good. Staff hard-working and friendly. Friendly house and staff, we were welcomed very warm. 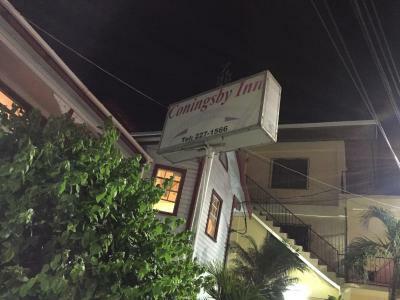 Coningsby Inn is located in Belize City, 1.4 miles from Belize Harbor. 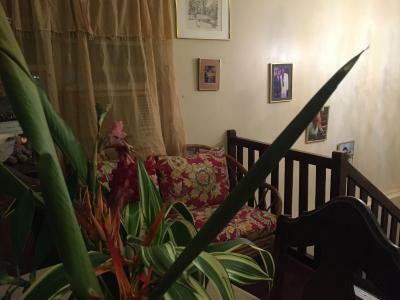 Featuring a shared lounge, this property also provides guests with a restaurant. 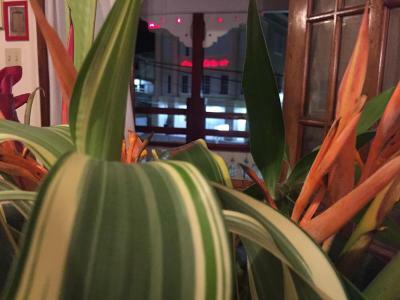 The guesthouse has a garden and has a terrace. 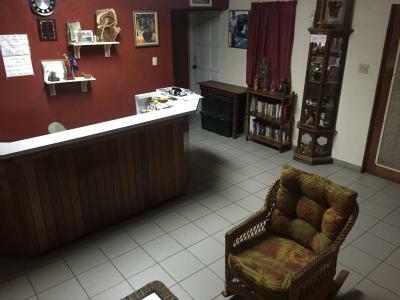 Philip Goldson International Airport is 11 miles away. 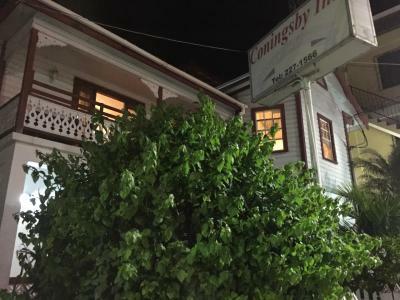 When would you like to stay at Coningsby Inn? House Rules Coningsby Inn takes special requests – add in the next step! Coningsby Inn accepts these cards and reserves the right to temporarily hold an amount prior to arrival. No complaints. Friendly staff. We enjoyed our stay. Room very basic. 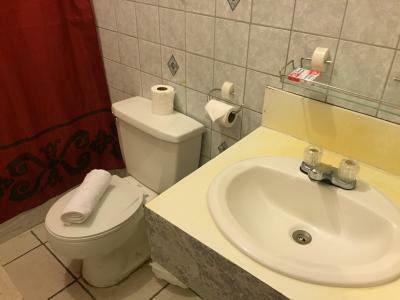 Smelt of smoke.Bathroom extremely shabby, toilet worked but falling apart. Shower very mouldy. Towels clean but had holes in them. 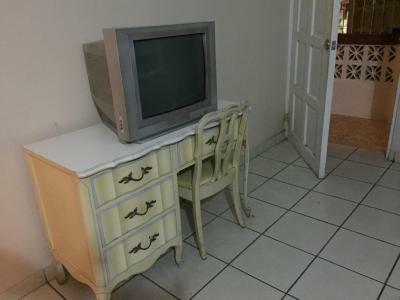 The whole place had seen better times. 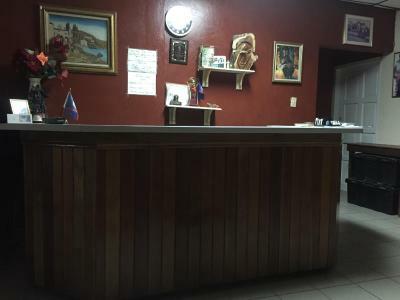 Not good value compared to other places I stayed in in Belize. WiFi very poor. 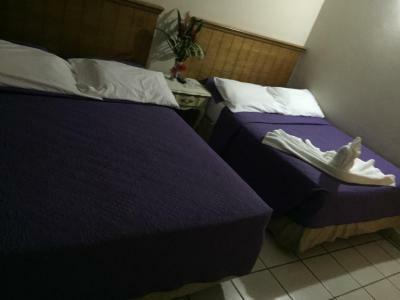 Room could have been more clea, appealing and pleasant. First night I stayed light bulb in the bathroom was out. Unfortunately, we did have our run in with six legged insects. Living in a costal city, I know that there will be problems with bugs. I wish we could have avoided it though. Too expensive for what you get. The breakfast is not worth the price. Comfortable bed with air con only one street back from the waterfront, and within walking distance of shops, restaurants and the boat terminal (to get to the Quays). 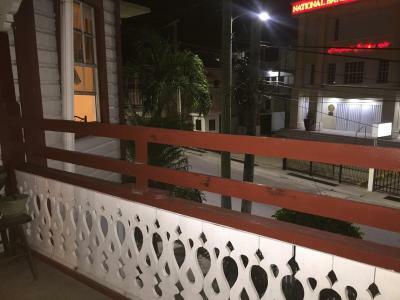 Needed a place to stay overnight before moving on, and this place fulfilled its purpose, but Belize city does not have much to see to keep you there for long. There was no hot water and very little water even coming out of the shower. The room was showing lots of signs and wear and tear, but it was clean. The buffet breakfast served to our group was very poor value for money in my view at BZD14. Compared to a breakfast burrito the previous morning for BZD5! Only a small plate of fruit was put out for 16 of us and no more was available, the rest of the food although I’m sure was delicious, was unhealthy things like fried bacon, sausages and very sugary pastries. Ok if that’s what you want! The 2 ladies who were running the show were very friendly.